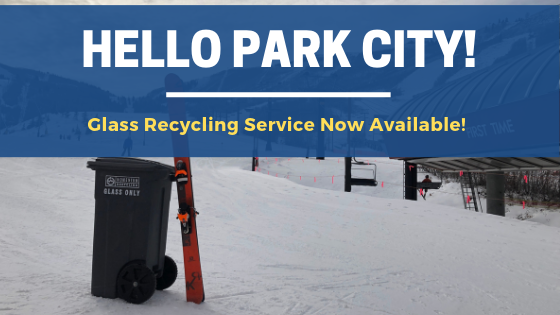 We are very excited to announce the expansion of the residential curbside glass recycling service to Park City! Residents can sign up online to conveniently recycle glass at home! Businesses also now have multiple glass recycling service options to select from in order to find the most suitable service for their needs. You may find people becoming extremely jealous of your convenient and affordable service that makes you seem very high class. 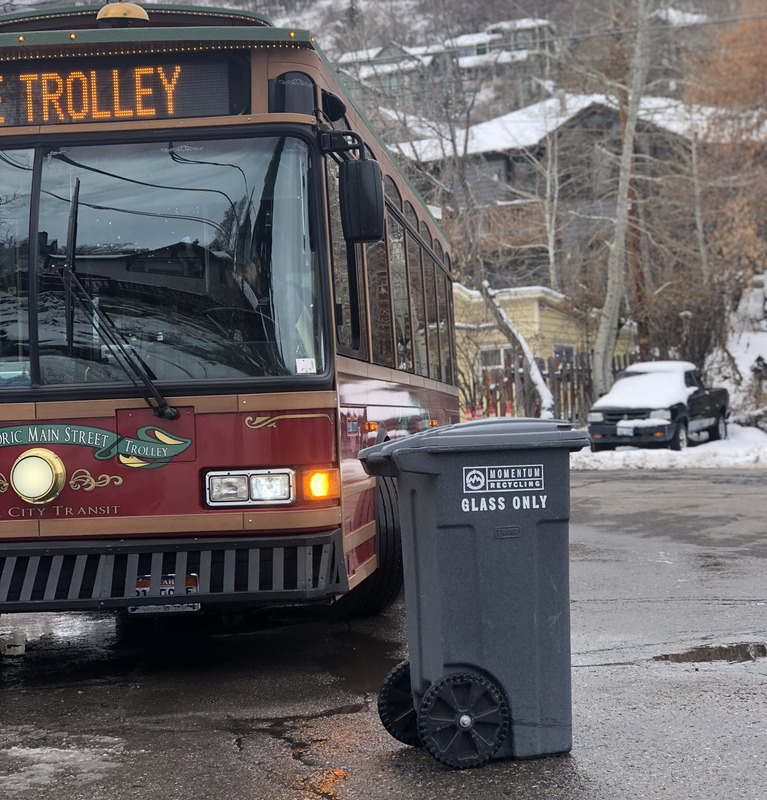 You might get questions like, “Where’d you get that bin?” or even, “Hey, did you do something with your hair?” – Forget that new Tesla: it’s your sleek, fun size glass bin that’s drawing all the attention. The short answer would be because it is the right thing to do, but for those who are skeptical here are some quick facts on what it means to recycle that glass! Unlike many other recyclables, glass is 100% recyclable and can be recycled endlessly with no loss in quality. For example, one glass bottled can be turned directly into a new bottle over & over again. Another bonus is that glass recycling creates more jobs that boost Utah’s local economy! Okay, you’ve made it this far, so go sign up – it only takes a couple of minutes – then get back out on the slopes! 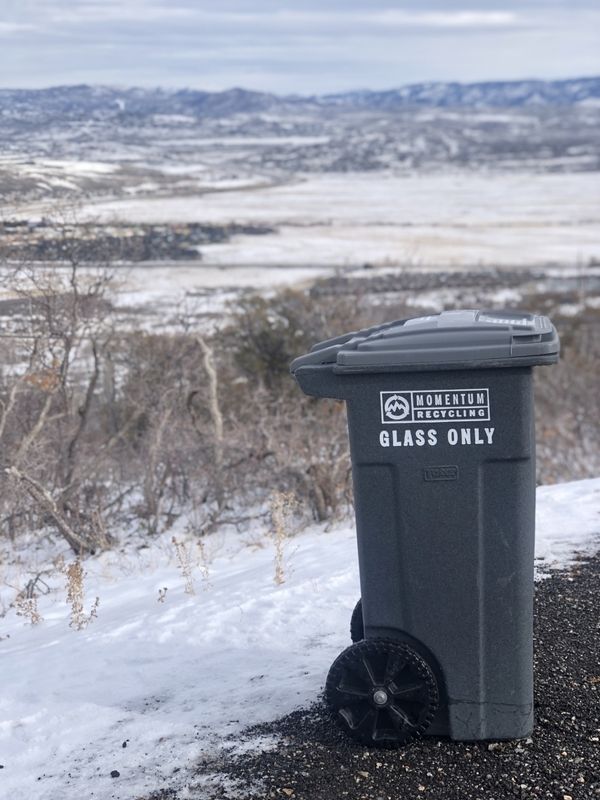 And, thanks for moving Park City towards zero waste by subscribing to Momentum Recycling’s residential glass recycling service!